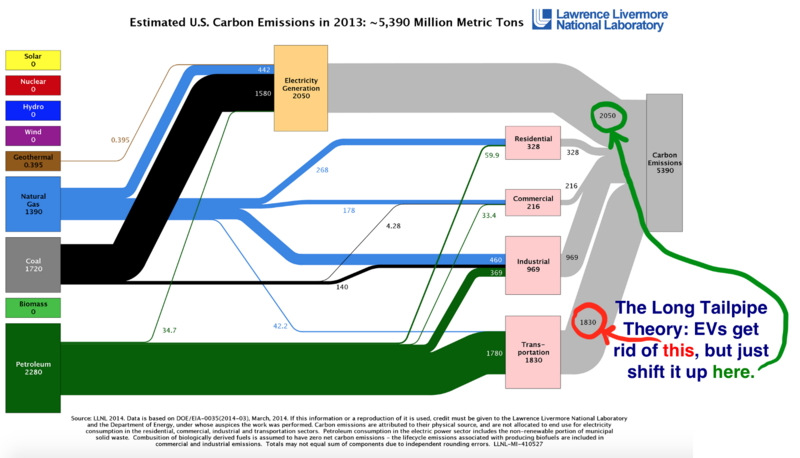 The long tailpipe theory is everywhere. Anyone who doesn’t like EVs points it out immediately. So what’s the theory? When you read about EVs or talk to people about them, you’ll hear this theory come up again and againand again and again. The thing you’ll notice, though, is that every time you hear someone all mad about the long tailpipe emissions of EVs, they’re using wording like, “may be” and “often” and, in the case above, “in some cases, some studies show.” That’s because you have to use words like that when you’re saying things that you wish were true but actually aren’t. 2) Energy production is more efficient in a power plant than it is in a car engine. To use an example with an identical source fuel, burning natural gas in a power plant is about 60% efficient, meaning 40% of the energy of the fuel is lost in the energy production process. In a car, burning gas is less than 25% efficient, with the vast majority of the energy lost to heat. The larger more complex system at a power plant will always be far better at capturing waste heat than a tiny car engine. The increased efficiency means that even a car running purely on coal-generated electricity will emit carbon at the same rate as a gas car that gets 30 miles per gallon — which would be a significantly cleaner-than-average gas car. 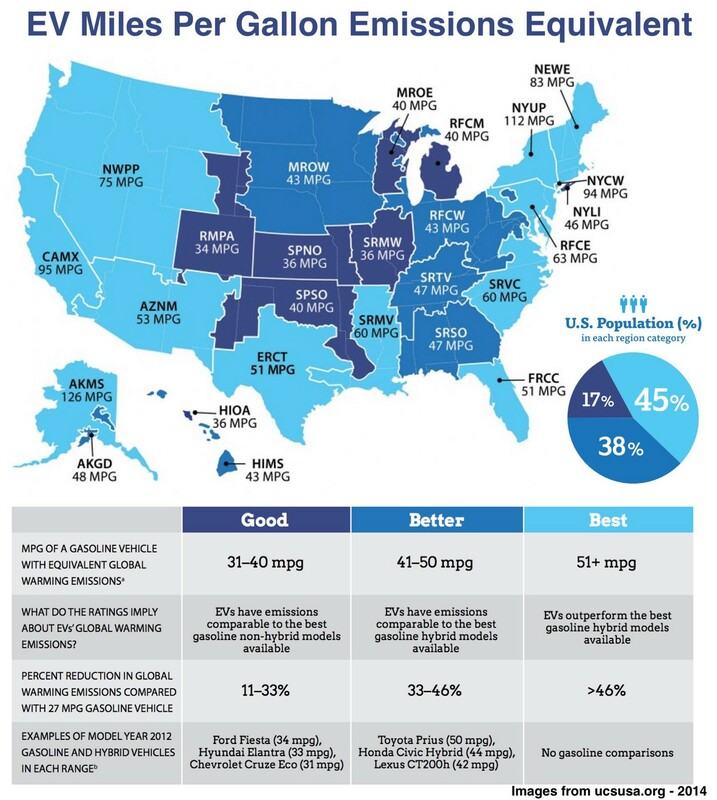 The Union of Concerned Scientists came up with a way to directly compare car emissions, regardless of the type of car it is — a metric called “miles per gallon equivalent,” or MPGghg (ghg stands for greenhouse gases).